OUR CEREMONY VENUE IS TUCKED AWAY IN THE HEART OF KANSAS CITY'S DOWNTOWN CROSSROADS. 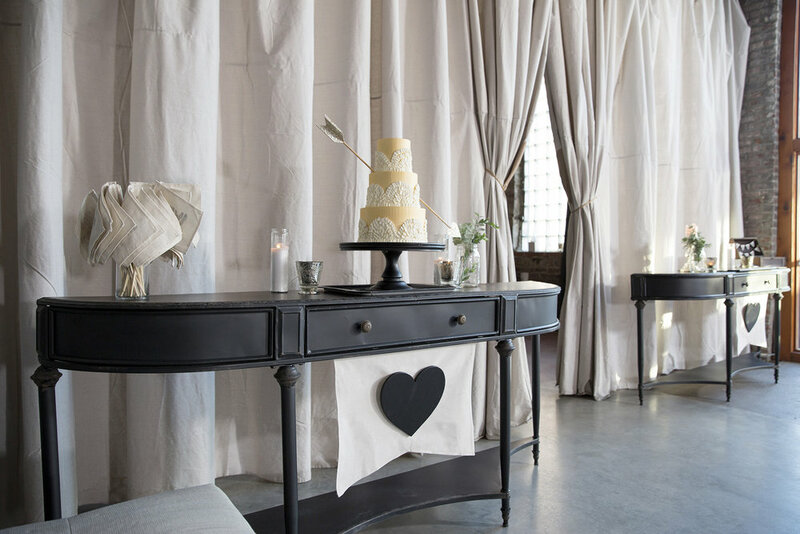 AN INTIMATE SETTING, COUPLES CAN CELEBRATE WITH UP TO 50 OF THEIR CLOSEST FAMILY & FRIENDS. THE CHAPEL IS FULLY DECORATED, AND READY TO GO UPON ARRIVAL. EVERY CANDLE IS LIT & THE FLOWERS IN THE LANTERNS ARE UPDATED WITH EACH SEASON. NO FURTHER RENTALS OR DECORATING IS NEEDED. 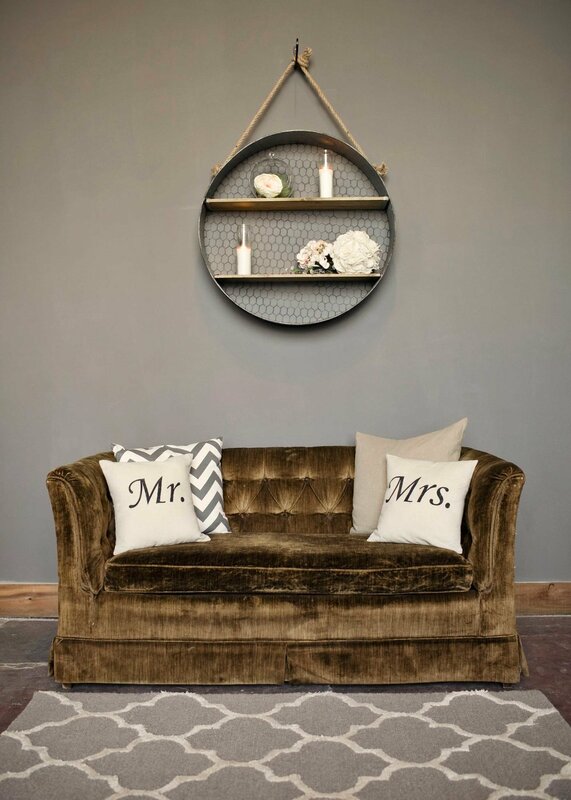 BRIDES CAN PUT THE FINISHING TOUCHES ON IN OUR BRIDAL LOUNGE. HERE SHE CAN CHANGE INTO HER DRESS AND HANG OUT WITH HER BEST GIRLS BEFORE HER BIG ENTRANCE DOWN THE AISLE. 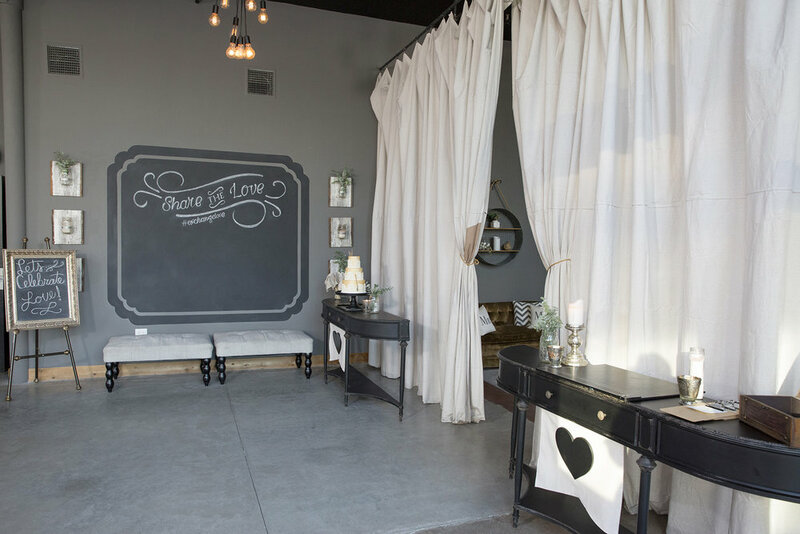 MOST PACKAGES AT THE VOW EXCHANGE INCLUDE ALL THE "LITTLE TOUCHES" INCLUDING "LOVE NOTES" FOR YOUR GUESTS TO LEAVE YOU, CELEBRATION FLAGS FOR YOUR GUESTS TO WAVE, USE OF THE CHAPEL BOUQUET FOR THE BRIDE, A WELCOME CHALKBOARD WITH YOUR NAMES, AND PERSONALIZED BANNERS WITH YOUR INITIALS. PACKAGES INCLUDING DRINKS ARE HOMEMADE, SEASONAL AND SERVED COLD IN MASON JARS DURING THE WARM MONTHS AND SERVED HOT IN WHITE CERAMIC MUGS IN THE COLD MONTHS. OUR HOSTS OFFER YOUR GUESTS A DRINK UPON THEIR ARRIVAL. Come for a visit to see The Vow Exchange Chapel in person. Feel free to let us know when you would like to come. We look forward to meeting you and answering your questions!